This paradigm exudes an ideology that valorizes the wealthy 5% and renders everybody else dependent on them. It feeds the arrogant, trickle-down, anti-social individualism which has such a tenacious and pernicious hold on the minds of working-class as well as elite Americans. It’s an ideology in which there is no such thing as society, just a collection of individual taxpayers. That ideology is a main pillar of the capitalist social order, and must be destroyed if we are ever going to move toward a socialist society. Yes, “taxpayer money” to “pay for” federal government spending is a central support of all that. Every time we say “taxpayer dollars,” no matter in what progressive direction we are flailing, we are enmiring ourselves deeper in the quicksand of this anti-social capitalist paradigm. 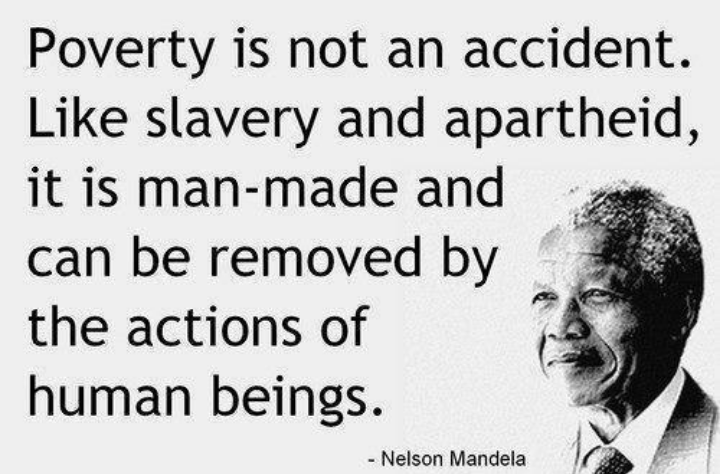 Maggie has succinctly stated for us the foundational principle of the neo-liberal capitalist austerity paradigm: The federal government is an empty pocket that must be filled with someone else’s dollars. 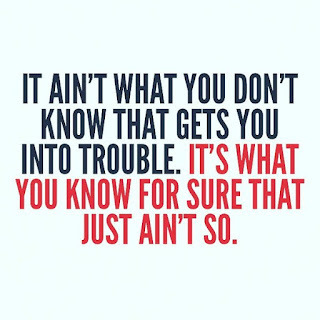 Are you beginning to see now why it’s important—politically important—to know whether that’s true or not? Let’s look at what’s happening in the current debates and proposals regarding progressive programs like Medicare-for-all, to see why a rejection of the Thatcherite paradigm is not just a matter of esoteric economic theory, but a practical-political necessity for the left; and to see how almost everybody who is arguing for those programs is actually reinforcing that paradigm in a way that threatens to undermine their important progressive goals. The left has to stop speaking Maggie’s language. Let's start with the Democratic Party. It’s not the left, I know, but it is the legislative horde that left activists must corral and entame to get programs like Medicare-for-all. And, pressured by its angry constituents and the bevy of self-identified “socialists” who have recently joined it, the party has even, however squeamishly, agreed to accommodate the “Medicare-for-all” demand. As can be expected, the Democratic Party, under Nancy Pelosi’s leadership, has bought into the federal deficit and debt hysteria. It has fully committed itself to a PAYGO policy, whereby, to avoid the horror of grandchildren-destroying debt, any new spending must be “budget neutral”—offset by reductions in other spending programs or tax increases. ‘Cause, hey, the state has no source of money of its own. Republicans have made clear time and time again that they don’t care about the deficit. And Democrats shouldn’t either. Rather than fixating on the GOP’s shaky math, Democrats should highlight the cruelty of shoveling money to the rich at a time when inequality is soaring and millions languish in poverty…. Democrats should be bold and single-mindedly focus on downwardly redistributive taxing and spending. Go for Medicare-for-All, public child care, green jobs. Propose popular programs, and don’t worry about the cost. If the GOP raises deficit concerns, waive them away by predicting fabulous economic growth, just like Republicans do. PAYGO is a self-imposed, economically illiterate approach to budgeting. 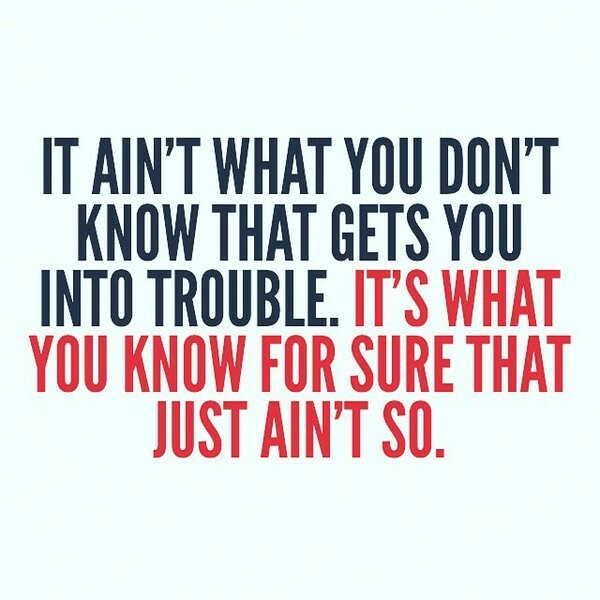 Republicans know this. They understand that deficits pose no risk to our national solvency and that the budget can be used to improve the financial well-being of the donor class. So they have unabashedly used their power to expand deficits and, hence, deliver windfall gains for big corporations and the already well-to-do. Instead of vowing budget chastity, Democrats should be articulating an agenda that will excite voters so that-- when the time comes-- they can unleash the full power of the public purse on their behalf-- a cleaner planet, good jobs, a secure retirement, affordable child care, debt-free college, and Medicare-for-All. The Republicans always preached balanced budgets. But, starting with Carter and cemented with Bill Clinton, the Democrats decided to win for themselves the title of “the party of fiscal responsibility.” As Bill said: “I hope you’re all aware we’re all Eisenhower Republicans…We’re Eisenhower Republicans here, and we are fighting the Reagan Republicans. We stand for lower deficits and free trade and the bond market. Isn’t that great?” Clintonism explicitly turned the Democrats into the second Republican Party. So, when the Republicans come into power they balloon the deficit with tax cuts for the rich and military spending. When the Democrats are elected, their civic mission becomes pointing out the profligacy of the Republicans and doing the Republicans’ budget-slashing, deficit-reducing work for them. You’d think someone might notice that, whatever either “Republican” party says about the deficit and the debt, the one consistent result of both parties’ policies has been increased wealth inequality. Progressive voters like those cited above correctly presume that’s the intended result for the Republicans, and now understand that, no matter what the Republicans preach, the purpose of their spending and tax policies is not, and will never be, to eliminate the deficit; it is to relentlessly increase the wealth and power of “their” people. A lot of progressive voters also indulgently think the increasing inequality is an unfortunate result the Democrats are forced into producing for “their” people—because somebody’s got to do something about the deficit. What they don’t notice is that it’s an inevitable result of precisely that “deficit” concern. The Democrats, and many of their leftish progressive supporters, continue to think that shaming the Republicans for their fiscal hypocrisy and promising to enforce fiscal discipline will be the political bomb that will win over the voters. But, they’re the only party that’s actually done anything to reduce the deficit, and their political position has still weakened. Why, oh why, they wonder, are “their” people not voting for them? You’d think somebody might notice that what’s important here, what really matters for the people and the country, is the growing inequality of wealth, not the deficit. And, indeed, there is a slew of sincere progressives—like the ones cited above—who have noticed this dynamic, know all about and reject the Clintonite Republicanization of the Democratic Party, and do want to change the game. At the leading edge of this, activists and insurgent Bernie-inspired candidates have turned Medicare-for-all from a “never, ever” to a great “new idea” that’s de rigueur for Democratic politicians. People are at the end of disgust with the for-profit health-insurance “market” and the half-assed attempts to patch it up (the ACA). Healthcare as a right—universal single-payer coverage under the rubric of Medicare-for-all—is a significant progressive advance, and it does seem its time has come. Thus, Bernie Sanders has introduced a Medicare-for-all bill that’s been co-sponsored by more than a third of Democratic senators (I’ve warned about the duplicity of those Democrats here), and John Conyers has one in the House that has over 120 co-sponsors and is considered the “gold standard” by the single-payer movement. These are the kinds of plans most lefties—from New-Deal-“socialist” Democrats through harder left socialists and marxists—are counting on to bring us the social program we want and need. But both of these plans, just like Nancy Pelosi’s PAYGO, rely on and reproduce the fundamental Thatcherite capitalist principle that public spending derives from and depends on private wealth, more blandly stated as “taxes fund government spending.” Both think it is necessary to define the new taxes that are needed to pay for Medicare-for-all. 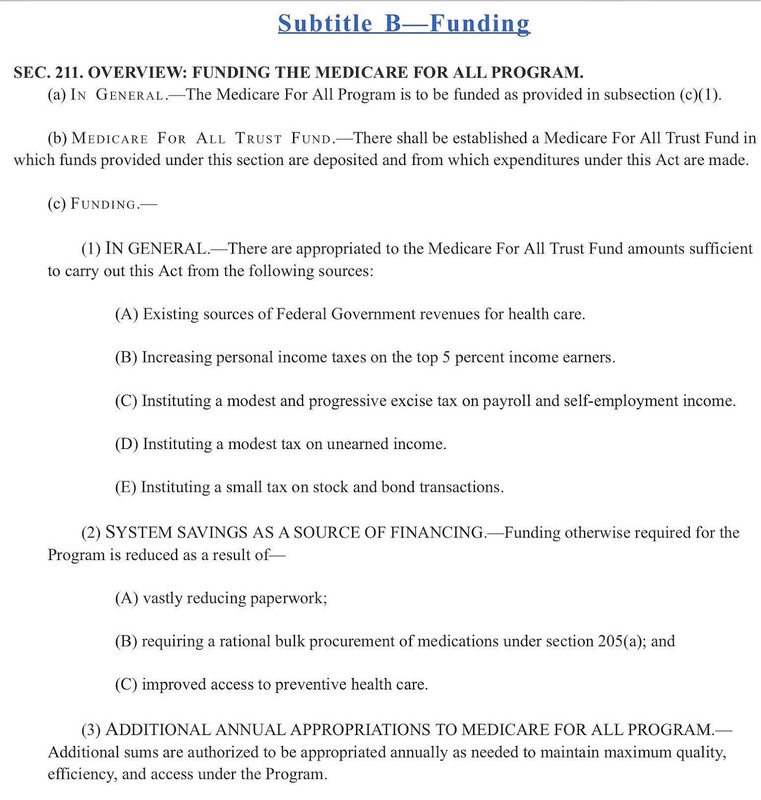 Note the new but undefined taxes in sub-sections (1) B through E. With these provisions, Conyers is honoring the “taxes pay for government spending” paradigm that he feels he must respect. But then note sub-section (3), which authorizes the annual appropriation of any “additional sums” that will be needed to “maintain” the program, without any reference to whether that matches the undefined and unknowable amounts raised by the taxes. Similarly, on his website, Bernie says his plan would be “fully paid for” by a 6.2% tax (“premium”) on employers and 2.2% on households (i.e., working-class families), as well as higher tax rates on high income tiers, new capital-gains and estate taxes, etc. But those taxes do not appear in his bill. His bill establishes—“create[s] on the books of the Treasury of the United States”—a “Universal Medicare Trust Fund” that replaces the current Medicare Trust Funds, and would presumably receive all the new taxes. But, again, that Fund “shall consist of such gifts and bequests as may be made and such amounts as may be deposited in, or appropriated to, such Trust Fund as provided in this Act, including “Notwithstanding any other provision of law, there are hereby appropriated to the Trust Fund for each fiscal year … amounts that would otherwise have been appropriated to carry out the following programs:” So, whatever taxes are paid to the Trust Funds, and whatever else the law says, we’ll appropriate what we need every year to carry out the program. It’s important to see the two things that are going on here. First, both bills, with their authorization of appropriations in every year going forward, establish what is categorized as a non-discretionary, or mandatory, budget item—as Max Mastellone puts in an excellent essay: “a more or less permanent appropriation of funds that does not have to be renewed year to year by Congress.” That’s why neither of these bills appropriates a specific sum; they authorize a continuing, variable, appropriation. They differ from a discretionary budget item, like defense spending, which requires authorization of a specific amount every year. “Non-discretionary” is also what is meant by “entitlement”—a word we should stop hiding from. Isn’t the whole point to make healthcare a right? Isn’t a right something we’re entitled to? An entitlement program is the category of program that we have a right to as citizens, a program the government therefore must fund every year. Whatever word we want to use, we should not retreat from, but step right into, the concept. This is exactly the concept, and the kind of program, the right is trying to discredit and destroy, and we must fight that head-on. 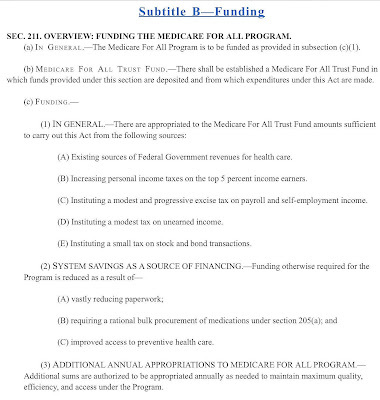 Secondly, however, both of these bills uphold and reinforce the “taxes-for-spending” paradigm that is a primary tool to undermine universal mandatory programs like Medicare-for-all, but which they think they can use as a support. Both politicians feel they absolutely must specify which taxes are going to pay for their program, even though their bills explicitly acknowledge they’ll be funded if the taxes don’t cover it. “I guess you’re right on the economics. They are politics all the way through. We put those pay roll contributions there so as to give the contributors a legal, moral, and political right to collect their pensions and their unemployment benefits. With those taxes in there, no damn politician can ever scrap my social security program. Those taxes aren’t a matter of economics, they’re straight politics”. So, the FICA payroll taxes are an economically unnecessary political device, based on pay-your-taxes-to-fund-your-benefits fiscal conservatism, that FDR thought would insulate the Social Security program from right-wing attacks. How’s that working out? Has it stopped those right-wing attacks? Today, Conyers and Sanders and virtually every Medicare-for-all progressive are reprising Roosevelt’s ruse: “We’ll show you how we’re going to pay for it, every penny! There, now you can’t object.” And all that’s happened is that the right, ignoring the MacGuffin, shifted the focus onto taxes and the deficit. The whole argument becomes: “Can you really pay for it without immense, continually augmented, tax increases, and without increasing the deficit?” “Yes, we can.” “No, you can’t.” “Yes, we can!” “I’ll show you my figures when you show me yours.” Yada, yada. This is a futile and losing game. Futile, because, in reality, nobody knows what a Medicare-for-all program will cost. That’s unknowable precisely because the federal government will[ constitute a monopsony—a single buyer of health services that will dominate the market and radically change the price structure. Swatting imaginary numbers back and forth is beside the point. The public controlling the cost is exactly the kind of change the right doesn’t want. Let’s be serious: The right-wing, and all the protectors of for-profit healthcare do not care about the cost of healthcare. In fact, the more expensive it is, the better for them. A main reason they oppose it is because they and everybody else know that single-payer healthcare will cost less—every year, for every person and in the aggregate. The right is not in it to win an economic argument or to cut costs; they are in it to protect material interests. The right’s objection to single-payer isn’t about high costs to the people or to the state; it’s about lost profits for health insurance and pharmaceutical companies. There’s no discussion like this about defense appropriations. An $80 billion increase in military spending, and nary a “how are you going to pay for it” peep from the all the Serious People. You won't find any purportedly earmarked taxes in a defense bill. All you’ll find is: “the following sums are appropriated.” That’s how it’s “paid for,” no questions asked. Nor did the public healthcare programs in every other advanced capitalist country come about because some party leaders produced a column of numbers proving that some designated tax would pay for it. They came about because the power of the working class and the communist and social democratic parties that did represent them at the time—before they were zombified by Thatcherite neoliberalism—demanded it. They came about because the soldiers and their families who fought in two world wars could not be refused, and because the example of post-capitalist societies could not be ignored. Under these conditions, the ruling classes had to capitulate on socializing healthcare in some way. (Some of them even realized capitalism could get along rather nicely with it.) The nation made a political decision, and then paid for it. That’s the way it works. 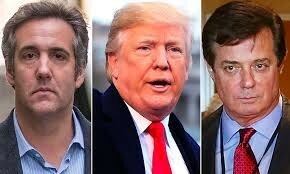 If you fight about “how are you going to pay for it,” you’re fighting on their ground, and you’ll never win, because the right will always be able to throw another numerical “projection” at you to put you back on the ropes. The rightists here are not debating; they are diverting, and there’s no end to it. It’s a losing game, because, if you accept that progressive social programs require tax increases, you’re in a debate that will inevitably focus precisely on taxes. That’s a debate where you (the “left”) are trying to make everyone pay more tax and the rightists are trying to help everyone pay less, and saying, correctly, that you’ll end up raising taxes forever—and you lose. Republican reactionaries will watch in delight as you become enmeshed in preaching about the need to raise the most regressive taxes on the most overtaxed people—the payroll taxes that are deducted every week from working-class paychecks. “Just a teensy bit. This is the last time, I swear. Look at my calculations.” You can write Paul Ryan’s answer. We have to get off their ground. This fight is not about numbers; it’s about power. It’s not about a tax; it’s about a right. It’s about replacing the power of an enormous private industry to profit from healthcare services and prices with the power of a social program that manages them for everyone’s benefit. It’s about giving all working-class people more personal health and economic security and more power over their social lives. We have to refuse their “how are you going to pay for it” numbers game, and focus relentlessly on our point that healthcare must be a non-discretionary social right. But if we're not going to stand on their ground, we have to stand somewhere else. We have to realize that the bedrock of their ground is the proposition that taxes fund government spending, that the federal government must get money from taxpayers—per Maggie, the money “people themselves earn”—to pay for any government program. The Medicare-for-all battle should make it clear: If you are going to get out of this trap, you have to get out of the “taxes fund spending” paradigm. You're either with Thatcher, or you're somewhere else. You either think what she said is true, or you think something else is true. You've got to find another rock to stand on. Maybe a place that allows you to argue for Medicare-for-all while at the same time abolishing all those payroll taxes (as 77 years ago the Democratic president who levied them knew you could)? Thereby giving most American workers the biggest immediate pay raise they have ever seen? Put Paul Ryan in the position of arguing against that. But to do that you have to understand the truth of the proposition—really get it—that taxes do not fund government spending. That is the other rock to stand on. The whole point is to be the anti-Maggie, to reject the neoliberal austerity paradigm she so forthrightly represents. That means rejecting with equal forthrightness—as matter of knowledge, not just political expediency—the notion that taxes or “taxpayer money” “pays for” federal government programs. 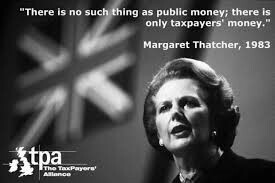 As Maggie knew, there is an easy way to rhetorically avoid the trap, Whenever one is tempted to say “taxpayer,” substitute the word “public.” It is public money that pays for government programs, and the word can be seamlessly substituted in almost any current progressive discourse on the subject. But, while changing the word is a useful way to sidestep reactionary implications, we need to go further and positively understand and step into the different concept, and the more radical and accurate paradigm that the word “public” implies. We need to understand that we have power over money, not as taxpayers, but as members of a political community. We have that power right now, whether we recognize it or not, because of the fact that we have a fiat currency. That is not a wish or proposal or demand, of the left or the right; it is a fact of our present economic order, indisputably true since 1971 when Nixon ended the gold standard. It’s important to recognize what changed then. Prior to 1971, a physical substance, gold, was the money-commodity—in a strong sense, the “real” money. U.S. dollars represented, and (at least internationally) were convertible to, that “real” money, gold. Issuance of dollars was constrained by that external commodity: if the number of dollars in circulation exceeded the mandated relation to the amount of gold owned by the U.S. government, it could cause big problems. That is exactly what happened, when France and other foreign governments sought to exchange the dollars they held for gold. So Nixon took the dollar off the gold standard. Ever since, the dollar has been a fiat currency. It means dollars do not represent, and are not constrained by, any physical commodity or any external “real” money-thing whatsoever. A dollar represents itself; it is exchangeable for (besides goods and services)…a dollar. That dollar, which is nothing more than a number in an account ledger, is the real money. And it doesn’t come from taxpayers. A dollar is now created on the command, by a political decision, of the public authority—a decision to spend. Money is created when the Congress says: “the following sums are appropriated,” thereby commanding the Treasury to issue the dollars to make it so. The federal government creates dollars by spending them, by putting them into—which means marking up the numbers in—the accounts of individual citizens and businesses. A fiat dollar in the modern monetary system is thus a social and political thing at its inception, and all the way through. When you trace money back to its origin, you do not arrive at a private, individual “taxpayer” who “earned” it, you arrive at a public, political authority that decided to create it. The source of the dollar is not a person; it’s a decision. It’s not an individual entity but a social act. 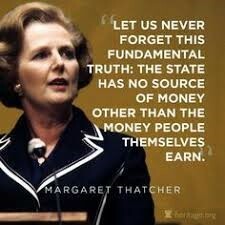 That is precisely the fact that Thatcher & Co do not want you to see. But when you think through the logic of fiat money for a few minutes, you’ll realize that it is a fact. Kinda obvious, really. It just is so. “Taxpayers” and taxpaying are products and effects of this thoroughly social monetary system, not its source. The federal government (including here, subsidiarily and differentially, its delegated agents, the banks) is the only creator/issuer of the dollar. Persons and businesses can get money from each other in various ways—working, earning, borrowing, stealing, profiting, etc.—and the differences among them are important, but none of those social actors create the dollars that are being passed around. Taxpayers are users, not issuers, of the currency. They cannot and do not provide original revenue for the government to spend; they return a portion of the fiat money the federal government has already spent into the economy and wants to recoup. Fiat dollars can be thought of as interest-free loans that do not have to be fully repaid. The idea the government needs to collect tax revenue (or revenue of any kind) to spend is a vestige of an obsolete currency system, more archaic even than Maggie. As the sole currency issuer, the US government can, and does, create as many dollars as it wants, without “collecting” any dollars in advance from any source. And a “tax dollar” does not go to fund government spending; it cancels out a debt, turns a -1 in the government’s ledger into a 0. You can’t spend a 0. All of this makes the federal government completely different from, and incommensurable to, any household, business, or state or local government, all of which do have to collect money from somewhere else—taxes, loans, or the federal government—to pay for their spending. To be clear, and to address a misunderstanding of many progressives, the fact that taxation does not fund government spending does not mean that taxation is unnecessary. On the contrary, taxation is an indispensable condition that makes the fiat monetary system work by requiring tax payment in the fiat currency. It also serves important social functions. Economically, it’s necessary to help control the money supply, aggregate demand, and therefore inflation. Socio-politically, it’s necessary to direct where the money goes and promote or discourage specific social goals—most important for the left, to prevent wealth inequality. I certainly think leftists should support high progressive income tax rates, estate taxes, etc., but not because we need them to fund Medicare-for-all. If you argue for higher taxes for that reason, or if you object to tax cuts for the wealthy because they increase the deficit, you have ensnared yourself in the trap. The reason to object to tax cuts for the wealthy is because they're for the wealthy, because they increase inequality—not because we need the money for healthcare or because they increase the deficit. We need to re-configure both spending and tax policies for progressive goals, based on a correct understanding of how our money system works. If we don’t, the right will continue to configure them to reactionary ends. In saying that taxation is not a funding source for government spending, this analysis puts the focus on taxation as a matter of political and social decision—a decision made from a position of power, not dependence. It allows us to make spending decisions without asking the rich for a damn thing. Imagine we’re in a meeting to decide on a new social program (‘cause we are), and there are two possible ways to set the agenda: 1) Let’s figure out how much tax we’ll have to collect from the rich. Or, 2) Let’s ignore those fuckers and do what we want. Which is more radical? To answer that question, you have to understand that the second agenda is possible. The radical possibility of budgetary decision-making independent of the rich is contained in the fact that money is created by a public authority—a fact that fundamentally undermines any “taxation is theft” or “government spending is parasitic” argument. This package holds powerful potential for leftists, if they’ll open it. Right off the bat, for example, it allows you to say: “Abolish payroll taxes!” Not a bad place for progressive class politics to start. 1) Deficits are good. It would make no sense to retrieve in taxes all the money the government spent into the economy. The amount of the federal deficit is the amount of money the federal government has left in the economy. That’s a mathematical fact. It means the government has not zeroed out all the negative numbers in its ledger. So what? To whom does the government owe those zeros? 2) The federal debt will not bankrupt the country, or us, or our grandchildren. The federal government cannot default on obligations denominated in its own currency. It can and will create all the dollars needed to pay dollar-denominated debt. Nor does the federal government have to borrow money to fund spending. The government is not required to borrow by economic necessity, but by laws and policies—political demands—that require it to borrow the difference between what’s spent in the budget and what’s collected in taxes (by selling Treasury Bonds). That’s another relic of an obsolete monetary regime, which is designed to make it seem like there’s a relation between the money in those Treasury Securities and government spending that there is not. The “borrowed” money in those securities accounts—dollars that were already in circulation—just sits there; it is not used to “pay for” government programs. All in all, this is a thoroughly social system, which, if operated well, can facilitate and encourage productive economic activity and the welfare of society. And, which, if operated regressively, as it is in our society, exacerbates hoarding, financial speculation, and inequality. Modern Monetary Theory (MMT) is the current descriptive (not prescriptive) account of how this modern fiat money system actually works, and is consistent with what the managers of that system have known and acknowledged for decades. Regarding Medicare-for-all, it is evident that there are abundant healthcare goods and services—doctors, hospitals, medicines, etc.—available for purchase for all the dollars Bernie’s or Conyers’s bill might create. That is all we need to say. Understanding MMT means dismissing the fear-mongering about the deficit and the debt as the canard that it is. It concentrates the mind right where it should be for leftists, on the political character of the public authority or government doing the money creation via spending: Who controls it? Whom does it serve? What does it spend for? In whose pockets does the money left in the economy end up? MMT doesn’t answer those questions. It “just” directs our attention to them, and away from the diversions. It “just” replaces the taxation-to-fund-spending paradigm, which liberals portray as (enforced) altruism and wealthy conservatives call theft, with a paradigm in which spending is a public exercise of rightfully-held financial power in the service of social solidarity. Like single-payer healthcare, understanding MMT will not bring socialism; it will “just” enable us to take more conscious, democratic control of the public monetary system and fund social programs without apology or mystification. I’ve explored MMT in greater depth in a previous essay, and googling Stephanie Kelton, Ellis Winningham, Randall Wray, Michael Hudson, or visiting New Economic Perspectives or Modern Monetary Theory for Real Progressives will provide a plethora of information on it. There’s a learning curve, not so much because it’s complicated—the premises are in fact quite simple and the conclusions therefrom evident—but because it takes some psychological and intellectual doing to let go of what you know for sure. Speaking from personal experience, the MMT analysis is one of those things you don’t want to waste your time on, until you get annoyed and intrigued by the mention of it so many times that you take a deeper look. But, among an increasing number of leftists who have followed that trajectory, it is sinking in that the “taxes fund spending” paradigm of the federal budgetary and monetary system, which the left has insouciantly shared with right-wing analysts for so long, is factually wrong; it just ain’t so. That’s going to become a critical mass in the left that those who are promoting universal social programs like Medicare-for-all won’t be able to ignore. The Roosevelt ruse does not need to be repeated; it needs to be rectified. 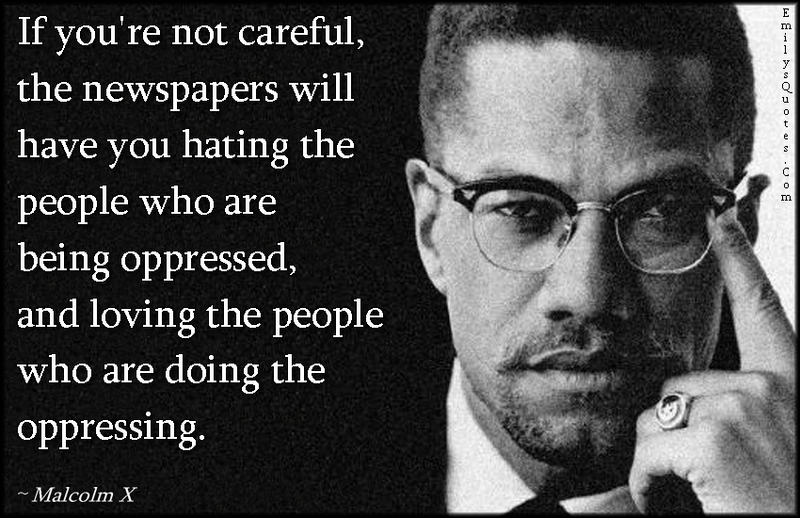 To those who think Bernie, Conyers, et. al., have no choice but to adopt FDR’s ploy of 83 years ago, because, really, it’s just too complicated to explain all this, and the American working-class is too stupid to get it people will never listen, I ask: Do we really have time, after 83 years of letting that poison pill fester, to postpone, yet again, a decisive reckoning with what is necessary and really possible? Isn’t reinforcing the wrong economic premises among the populace and expecting to get support for expansive social programs as foolish as reinforcing American exceptionalism and expecting to get opposition to imperialist wars? Whose team is that? Maggie’s all-stars? Is this where leftists want to be? Well, you’re either on that team, or you’re on another. Don’t wanna play on Maggie’s team no more? Get off it, and get on one that starts tomorrow with this slogan: “Medicare-for-all and abolish payroll taxes!” I guarantee: People, all working-class people, will listen. The problem right now isn’t whether people will listen. It’s whether left activists will learn for themselves. and develop sincere and effective ways of explaining what they know to be true. You know, the kind of money that’s created for everything else, with: “the following sums are appropriated.” Let’s make it so.